President Donald Trump has offered his sympathies to the people of New Zealand after a massacre took the lives of dozens of people at two mosques, but his response differed from those of many other world leaders who took the opportunity to condemn terrorism, hatred and other ideologies that reportedly fueled the attack. When asked Friday by reporters at the White House whether he thought that white nationalism was a rising threat across the globe, he said responded, “I don’t really,” as cited by The Washington Post. He described it as “certainly a terrible thing,” using the exact same words he used in describing the killing of journalist Jamal Khashoggi and denying that Saudi Crown Prince Mohammed bin Salman was behind it. He’s also used the phrase to describe the death of U.S. student Otto Warmbier, whose treatment in North Korean prison the president said North Korean supreme leader Kim Jong Un was unaware of, and the government shutdown, caused by an inability for Republicans and Democrats to agree on Trump’s multi-billion-dollar wall to combat the flow of undocumented immigrants, who he blamed for scores of crimes across the U.S.
“Our deepest condolences to the people of New Zealand, relatives and friends of the victims of the terrible massacre in the mosques in Christchurch. Brazil totally condemns this cruelty! We join the New Zealanders in solidarity at this difficult time. God bless you all!” Brazilian President Jair Bolsonaro tweeted. “We extend our deepest condolences to the families and friends who lost loved ones in this senseless tragedy. To the people of New Zealand and to Muslim communities around the world: you are in our hearts and minds. We join in your grief and stand with you at this incredibly difficult time,” Canadian Prime Minister Justin Trudeau wrote in a statement, recalling times that “Muslims suffer unimaginable loss and pain in the places where they should feel safest,” such as the deadly 2017 shooting at Islamic Cultural Centre of Quebec City. “To move forward as a world, we need to recognize diversity as a source of strength, and not a threat. Last night’s victims were fathers, mothers, and children. They were neighbours, friends, and family members. As with every life taken too soon, the full measure of their loss will never be known,” Trudeau said. 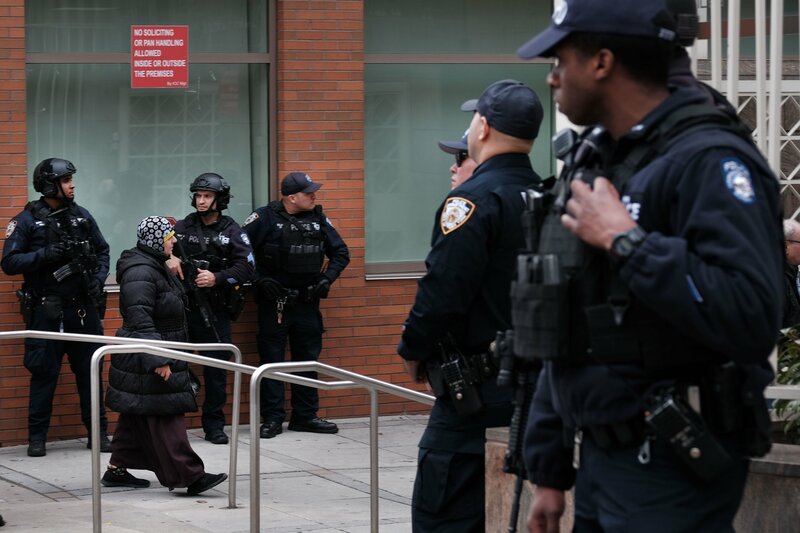 “Canada condemns this attack, and will continue to work closely with New Zealand, our close partner and friend, and others to take action against violent extremism. Hate has no place anywhere. 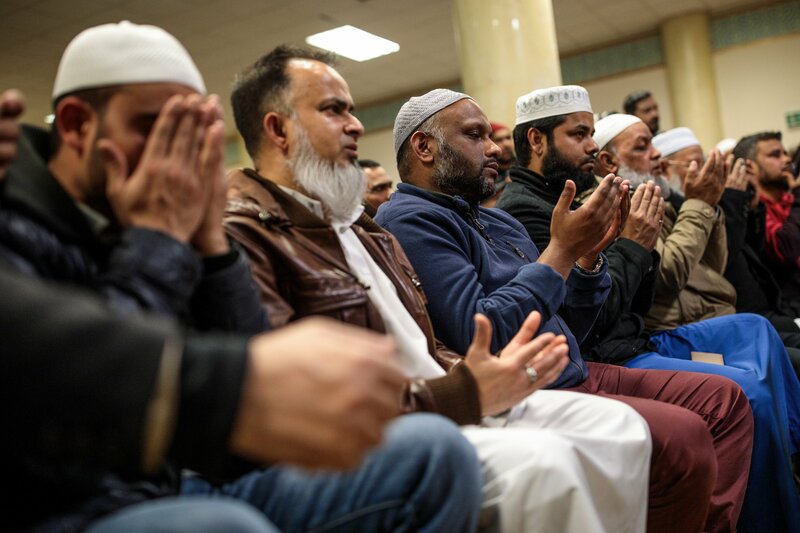 We must all confront Islamophobia and work to create a world in which all people—no matter their faith, where they live, or where they were born—can feel safe and secure,” he added. Chinese President Xi Jinping was reportedly shocked by the attack and condemned it, wishing the survivors a speedy recovery, according to the official Xinhua News Agency. Chinese Premier Li Keqiang sent a message of condolence to New Zealand Prime Minister Jacinda Ardern. “All our thoughts for the victims of heinous crimes against the mosques of Christchurch in New Zealand and for their loved ones. France stands against all forms of extremism and acts with its partners against terrorism in the world,” French President Emmanuel Macron tweeted. “I am deeply saddened by the news from #Christchurch. 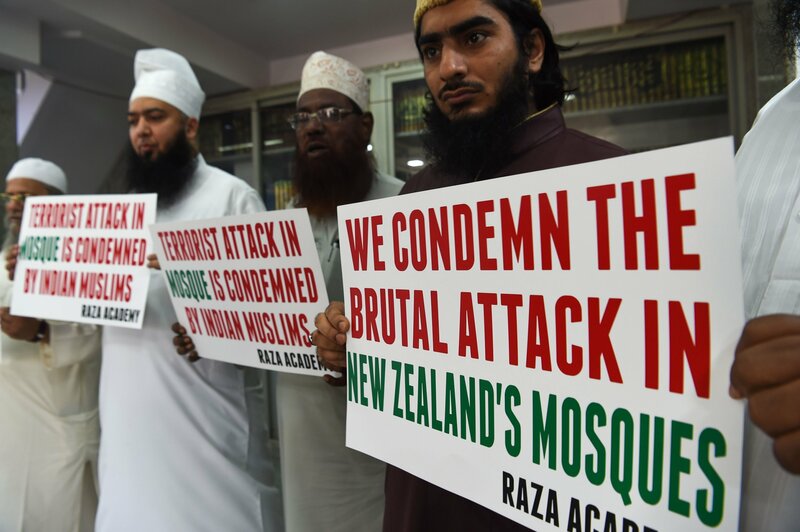 I mourn with the New Zealanders for their fellow citizens who were attacked and murdered out of racist hatred while peacefully praying in their mosques. We stand together against such acts of terrorism,” German Chancellor Angela Merkel’s spokesperson Steffan Seibert cited the leader as saying on Twitter. “We express our strong condemnation and rejection of the terrorist attack on Muslims in New Zealand during Friday prayers. We call on the countries of the world to respond vigorously to terrorism and extremism in all its forms and manifestations, which are aimed at all humanity, and to unite to face its threat everywhere,” Iraqi Prime Minister Adel Abdul-Mahdi’s office cited him as saying on Twitter. “The Prime Minister stressed India’s strong condemnation of terrorism in all its forms and manifestations, and of all those who support such acts of violence. He stressed that hatred and violence have no place in diverse and democratic societies,” it added. “Israel mourns the wanton murder of innocent worshippers in Christchurch and condemns the brazen act of terror in New Zealand. Israel sends its condolences to the bereaved families and its heartfelt wishes for a speedy recovery to the wounded,” Israeli Prime Minister Benjamin Netanyahu tweeted. Italian President Sergio Mattarella expressed “an extremely serious signal of alarm” at the attack, in which the shooter was used guns adorned with far-right symbolism, such as the name of Italian right-wing Lega Nord activist Luca Traini, who was imprisoned for shooting six people of African origin last year in the town of Macerata, and Sebastiano Venier, a Venetian leader who defeated the Ottoman Empire during the 16th century Battle of Lepanto. Mattarella warned that “erasing history wipes out the civilization that history has built. It is the danger we have before us,” according to Italy’s ANSA wire service. 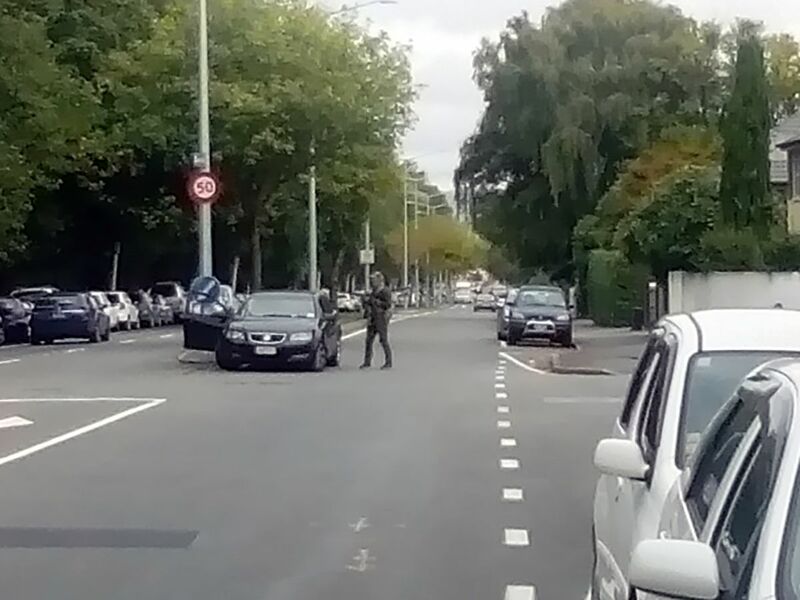 “Japan firmly condemns the atrocious shooting carried out in Christchurch on 15th March. On behalf of the Government and people of Japan, I extend my sincere condolences to those who lost their lives and express heartfelt sympathy for their bereaved families and those injured,” Japanese Prime Minister Shinzo Abe wrote in a message to Ardern. “Shocked and strongly condemn the Christchurch, New Zealand, terrorist attack on mosques. This reaffirms what we have always maintained: that terrorism does not have a religion. Prayers go to the victims and their families,” Pakistani Prime Minister Imran Khan tweeted. “I blame these increasing terror attacks on the current Islamophobia post-9/11 where Islam & 1.3 bn Muslims have collectively been blamed for any act of terror by a Muslim. This has been done deliberately to also demonize legitimate Muslim political struggles,” he added. “We condemn the terrorist attack that claimed the lives of dozens of worshipers and injured scores others at the two mosques in New Zealand,” President Mahmoud Abbas said in a statement, calling it a “horrific and heinous criminal act,” as cited by the local Ma’an News Agency. The Palestinian leader called on world leaders to “confront terrorism and show zero-toleration for racist groups that incite violence, racial hatred and xenophobia” and expressed his own condemnation of “all forms of terrorism against innocent civilians, regardless of its source or the identity of the perpetrators,” while expressing sympathies for the victims, wishing them an early recovery. “This attack on civilians who gathered for prayer is shocking in its violence and cynicism. I hope that every person involved in this crime will sustain a well-deserved punishment,” Russian President Vladimir Putin said in a telegram sent to Ardern. “We have learned of terrorist attacks that targeted two mosques, in Christchurch city, resulting in deaths and injuries. As we denounce, in strong wordings, such a heinous criminal act, we express to Your Excellency, the families of the victims and the friendly people of New Zealand,” Saudi King Salman wrote in a message to Ardern, according to the official Saudi Press Agency. “On behalf of the Government of the Republic of Korea and the people of the Republic of Korea, I would like to express my condolences and condolences to the Prime Minister of @jacindaardern and the people of New Zealand,” South Korean President Moon Jae-in, tweeted. 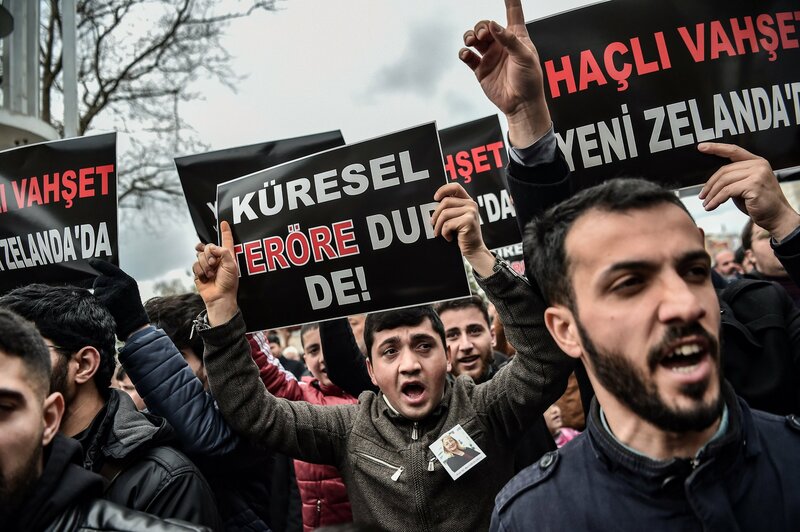 “I would like to take this occasion to vehemently condemn the attack in New Zealand against Muslims who convened to perform the Friday prayer,” Turkish President Recep Tayyip Erdogan said at the funeral of a former minister. “There can be no place in our societies for the vile ideology that drives and incites hatred and fear. Our thoughts and prayers are with the people of New Zealand,” U.K. Prime Minister Theresa May tweeted, alongside a nearly minute-and-a-half-long video. “I express deep sorrow and my total rejection for the horrendous crime that occurred in New Zealand, a consequence of discrimination and racism promoted by white supremacy. We stand in solidarity with the New Zealand people and with the entire Muslim community in the world,” Venezuelan President Nicolás Maduro tweeted. A number of other world leaders also reacted to the news with explicit condemnation, while others such as Iran and Syria also expressed their condemnation as well as the need to fight terrorism in all forms in statements shared by their foreign ministries.